Parasitology is one of the fields in Science, especially in Zoology and Medical schemes which aim to deal with the world of parasites. As you know, parasites may be either animals or plants and also they may be viruses, bacteria, fungi, protozoa, helminthes or arthropods. Almost every animal or plant phylum contains at least a few parasites. It is important to learn about parasites mainly as the course infections that account for a large number of human illnesses while being the causative agents of diseases and major public health problems of the world. These parasites cause suffering and death as well as socio-economic problems. If we are to control and prevent these diseases, a thorough understanding of the parasites is vital. An understanding of parasites will help in prevention and control which is essential to reduce these infections and deaths in the world.Parasitism is one of the symbiotic associations among the living species. Parasitism is defined as an intimate relationship between two hetero-specific organisms during which the parasite lives in or on the host deriving food and shelter and causing some degree of harm to it. The relationship of the parasites with their host may be permanent and the host may be harbouring the parasites for many years (eg- as in the case of tapeworms found in the intestine s of mammals). The relationship can also be temporary (eg- just like the feeding of mosquitoes, leeches and ticks on their hosts’ blood).Parasites depend on hosts to fulfill many of their requirements. Nutrition is just one of the most commonly encountered dependencies. Yet, there are many other requirements of parasites for which they depend on hosts. For example, we can find that parasites may depend on their host’s enzymes for certain functions. Or they may depend on growth and developmental stimuli of host origin. Because of this metabolic dependency on the host, usually (but not always) parasites cannot survive without the host. It is metabolic dependency on the host that makes the relationship an obligatory one. The degree of dependence of the parasites on the host will differ considerably from one species to another. Whist some parasites are unable to survive outside of the host, certain other parasites may also have free living stages independent of the host. In there, it does not mean that the eggs and cysts that survive outside of the host for certain period of time. That means there are non-parasitic stages that lead an inactive existence independently from a host. 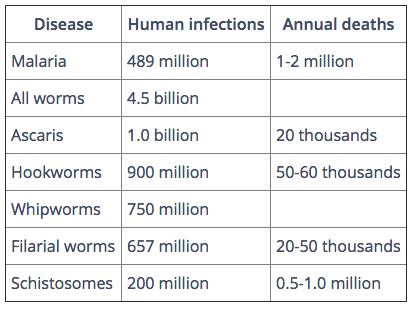 Parasites can be divided in several topics based on details. Some categorizations are done based on dependency on the host as facultative parasites, obligatory parasites and incidental parasites. Then, some are divided depending on the location in the host exploited as endoparasites and exoparasites. Based on the duration of time of the host, the parasites are divided as permanent parasites and temporary parasites. Let us see what these definitions are, one by one. A facultative parasite is an organism that is not solely restricted to the parasitic way of life. But they are capable of adapting itself, if placed in such a situation. 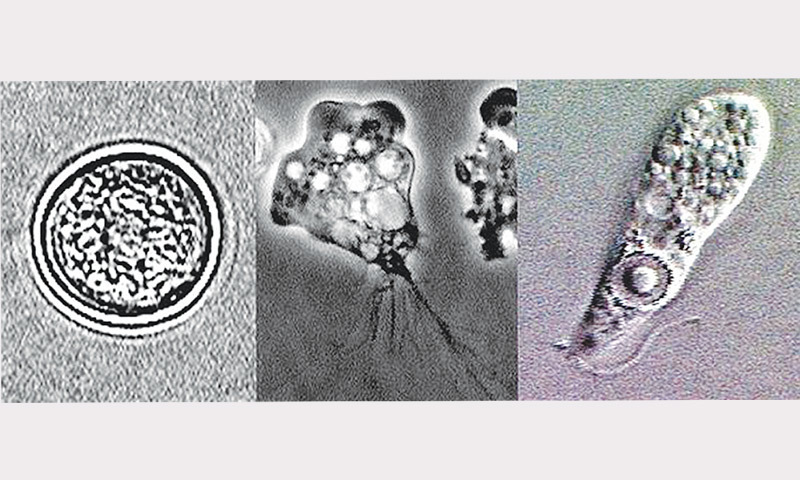 If we take an example, Naegleria fowleri is one of the free living amoebas in stagnant water or soil. Yet, if it is infected by humans, it causes a fatal disease that affects the brain. An obligatory parasite is an organism that is completely dependant on the host during partial or all of its life cycle. However, many of them have free living stages in the external environment mostly as eggs or cysts. For an example, we can take the adult pork tape worm which has a very specific obligatory association with humans but their eggs exist in water freely. An organism can accidentally enter or attach itself to an unnatural host and survive. In here we explain it as an incidental parasite. For an example, Taxocara canis is a parasite of cats, dogs and their relatives, but humans also harbour the parasite occasionally. We also can group parasites depending on the location or the organ of the host that is exploited by the parasite. The ones who live within the body can be defined as endoparsite who can be frequently found in alimentary tract, lungs and the body fluids of their host. These are said to cause an infection while the parasites are being located on the outside surface of their host or are superficially embedded in the host’s body surface are called as exoparsites. The skin, mouth, nostrils are the usual places whre exoparasites are found. These are said to cause an infestation. Whist lice, ticks, mosquitoes and other hematophagous arthropods are examples for this category.Permanent parasites are the parasites that live its entire adult life on or within the host whist the temporary parasites are free-living parasites that live a part of its life cycle and seek its host only to obtain nourishment. 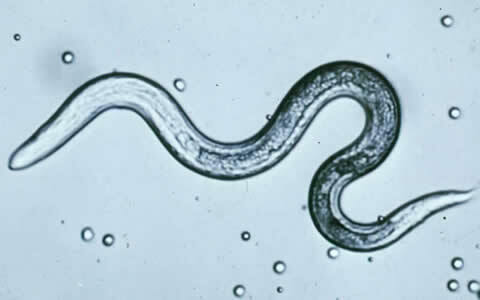 If the host in which the adult stage of the parasite lives or where the parasite attains sexual maturity is called the final or definitive host. A host is defined as an intermediate host if it provides a temporary but essential environment for the completion of the parasite’s life cycle. We can see that, during the life cycle of the filarial worm, the man acts as the definitive host and the mosquito as the intermediate host. If a host in which a parasite remains viable without developing or multiplication, such a host is necessary for the completion of the parasite’s life cycle but is utilized as a temporary refuge and a vehicle for reaching an obligatory host, usually the definitive host. This one is called as paratenic host or a transport host. While talking g about parasites, their life cycles are very important to predict about the requirements needed for prevention. The term life cycle refers to the sequence of changes an organism passes through, during its developmental cycle. 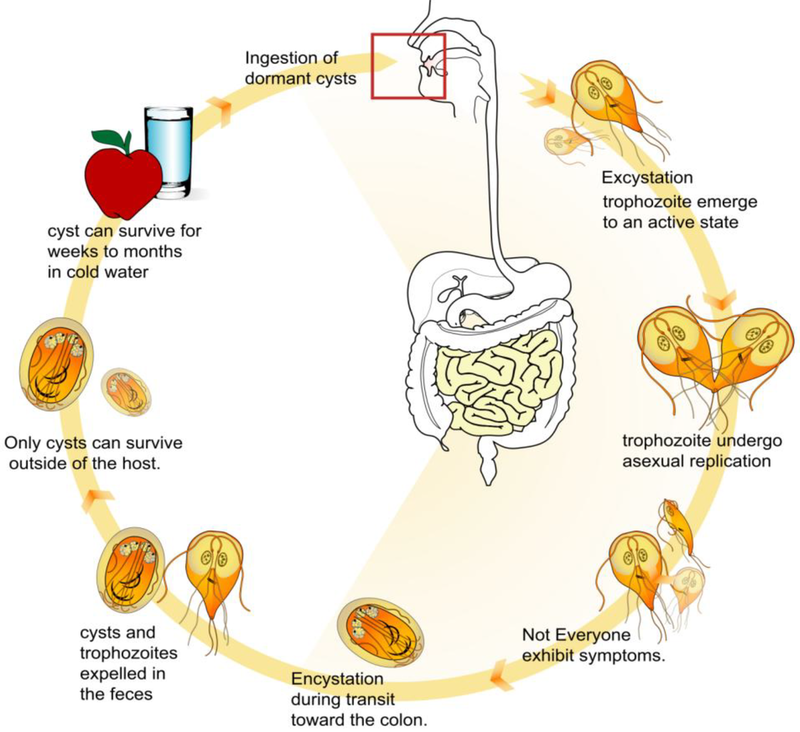 During this life cycle, all parasites pass through a series of developmental stages before reproducing and starting a new cycle of development. The parasite may undergo one or more phases of sexual or asexual multiplication during the life cycle. This can be either direct or indirect life cycle. Direct life cycles requires when only one host in which to complete its development is needed to a parasite. For examples direct life cycle; many parasites including E.histolica, B. coli, A. lumbriocoids. etc. require only a human host for the completion of its development. But in indirect cycles, two or more species of hosts are required for the completion of the parasite’s development. 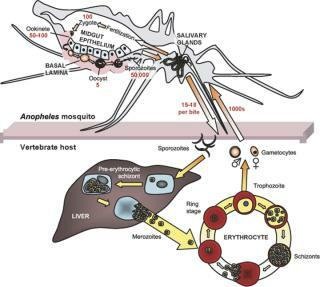 For an example, we can see how malaria parasite requires both a human host and an insect host and the Chinese liver fluke requires a human host, a snail host and a fish host. Hope you have gained a better knowledge on parasites, their categorizations and the hosts involving in host-parasites relationships. In future, we will have further discussions on these matters and learn how these parasites get infected by animals and host parasitic interactions.